Driving in South Africa | Driving tips | Car Rental | What to do in an Accident? Driving in South Africa is not more dangerous than driving in many other countries in the world. 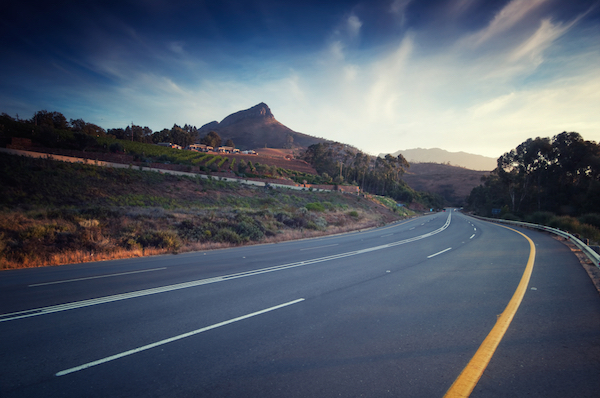 The major roads in South Africa are well maintained and the traffic is quite easy to manage, except that driving at night is definitely more dangerous outside the cities due to stray animals or people walking on the roads or unlit vehicles. All main roads and highways are signposted in English and driving outside the main centres is a breeze due to the sparse traffic. The road conditions and the general infrastructure in South Africa's cities are comparable to the major cities around the globe. However, if you leave the main roads, you will find rough surfaces, dust roads and also lots of roadworks. Occasionally you might get stopped at police roadblocks where your licence or car is checked. To be up to date about major road closures or roadworks check the official website of the South African National Roads Agency which is updated regularly. 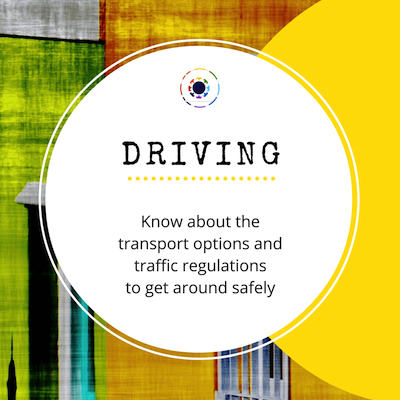 Driving in the cities like Cape Town or Johannesburg is not really difficult, but you will have to adjust to the South African driving style. There are certain rules you have to observe and if you adhere to the local customs, you will quickly drive with the flow. Be street smart! Robots, Traffic Circles and Stop Signs: Traffic lights are called 'robots' in South Africa and the traffic lights are placed before and after the intersection. At circles, traffic from the right gets precedence and at stop signs, the rule is: First comes, first serves. Road Safety and Hijackings: Beware that Friday and Saturday nights are the most dangerous nights on the South African roads, not only for alcohol related accidents, but also for hijackings and road rage. Be extra careful when approaching traffic intersections as some drivers jump red lights at night, but this might happen also during the day, so always approach intersection with care. Highjackings are unfortunately an occurrence at some highways, such as the N2 between Cape Town airport and Somerset West or in some areas in Johannesburg and Pretoria. Pedestrians/Animals: Always beware of pedestrians crossing the roads, even multi-lane highways at any time of the day. You should know that some South Africans do not hesitate to cross or walk along even very busy traffic sections. And also watch out for wildlife that might be crossing the roads especially at dusk and dawn, as well as sheep, goats or cows grazing along the roads outside of town. Street Vendors: Be careful with street vendors or begging people at traffic intersections. While some might be genuine vendors, most of the products will be rip-offs or stolen goods and beggars or people pointing at your wheels might not want to alert you, but want to distract you to steal from your car. Belongings in Cars: Always hide your bags under the seat or in the boot and when parking do not leave any possessions lying behind in full sight. Car Guards: In the city centre, there are official parking marshals displaying yellow bibs and handheld ticketing machines, who you have to pay before you leave your car. The fee is around R10-15/h They will give you a ticket to display in your car and if you stay longer than arranged and if there are no time restrictions in your parking, you can pay the guard any additional fees when you return to the parking area. Unofficial car guards at supermarkets, street parking 'watch' your car for a R5 - 10 tip. 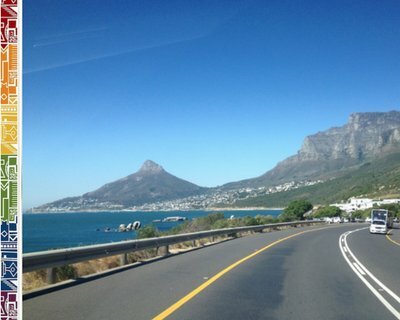 Driving Lessons: You are staying in South Africa for longer? Should you want to get more practice driving, maybe you are coming from the other parts of the world and think here you are driving on the wrong side or you just need to plug up a little more courage facing the South African drivers, then how about you take some lessons with a reputable driving school such as He&She. Other Transport Options: There are several transport options you can consider when coming to South Africa, however driving your own car is the most flexible and independent way to travel in this big country. Read more. Car Insurance: Always consider taking out comprehensive car insurance when driving in South Africa. Your rental company will recommend this and so do we. 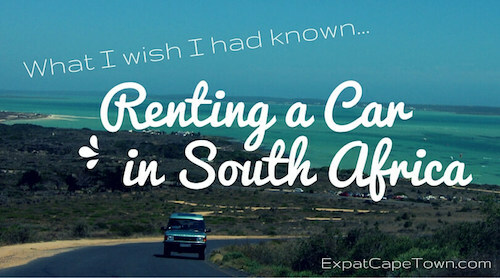 It does not matter if you rent a car or have got your own car. Accidents can happen and then you do not want to worry about how to pay the damage. Many South African drivers are uninsured, so you need to be prepared and have your own insurance! Take out a comprehensive insurance, as car insurance still is not compulsory when driving in South Africa. You definitely do not want to get stuck with costs for repairs to your car when somebody else damages it in an accident but is not able to pay your damages. Shop around for quotes as the differences in annual payments can be quite substantial. Some of the insurers offer discounts if you take out a house contents insurance and a car insurance at the same time. Many car insurances also offer road assistance. To take out a cover for any eventuality of a breakdown of your car on the road, is highly advisable in South Africa too. Bring you membership of your Automobile Club from home and get a discount when registeringas a new member at the local AA. Always have some emergency numbers, such as your insurance hotline number as well as police and ambulance numbers, handy when driving in South Africa. If travelling in Cape Town with a rented car make sure you book road side assistance with your rental contract and also get an emergency contact number from the rental company. In South Africa tow trucks are stationed at the 'more dangerous' intersections. Their services are however often very expensive. Make sure to compare and discuss pricing before agreeing to using their service. Stop at the accident scene and exchange name, address and registration number with all involved. If nobody has been hurt, all parties involved in the accident still must report the accident at the nearest SAPS (police station) within 24 hours and get a case number. It is not sufficient to call the police, you must report at the station in person.